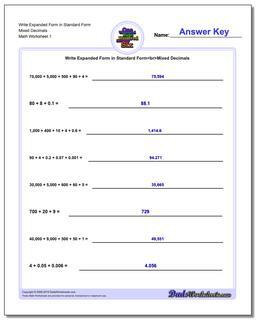 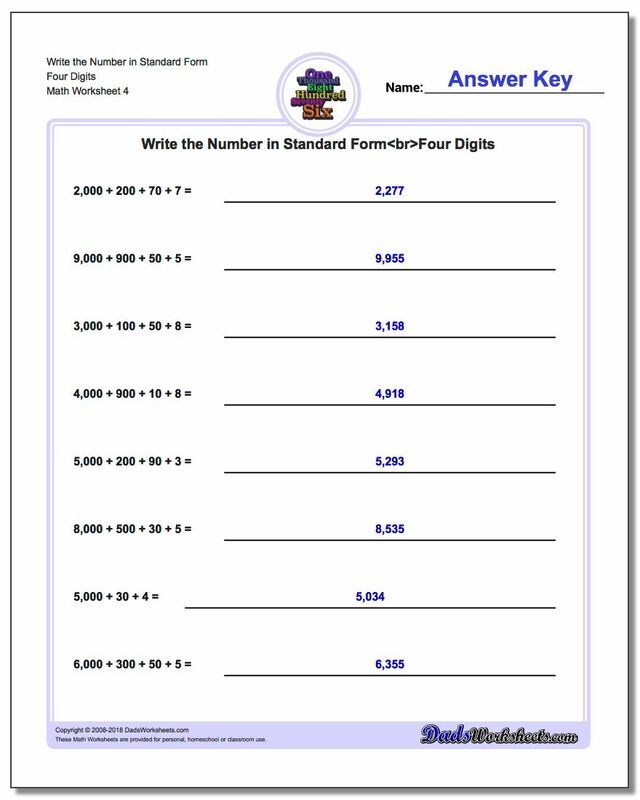 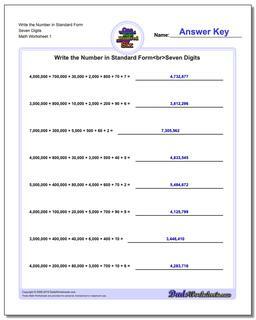 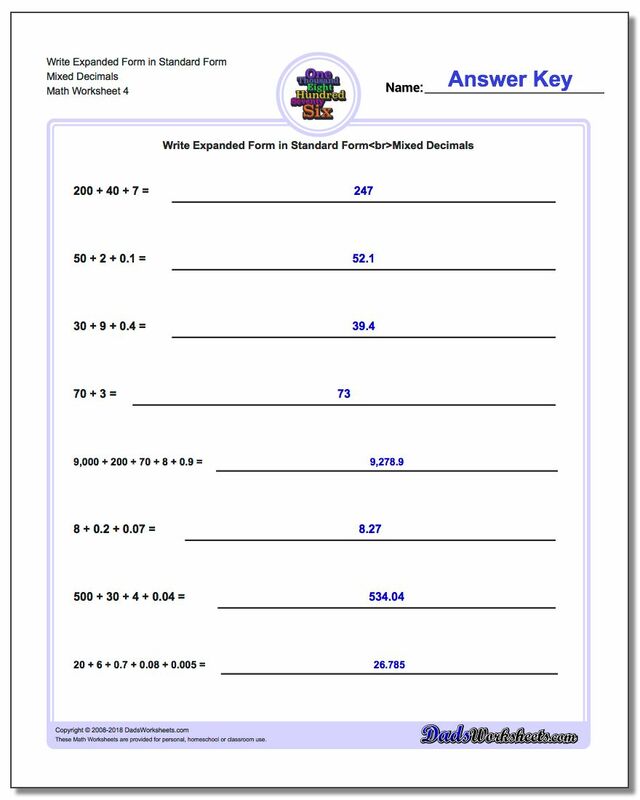 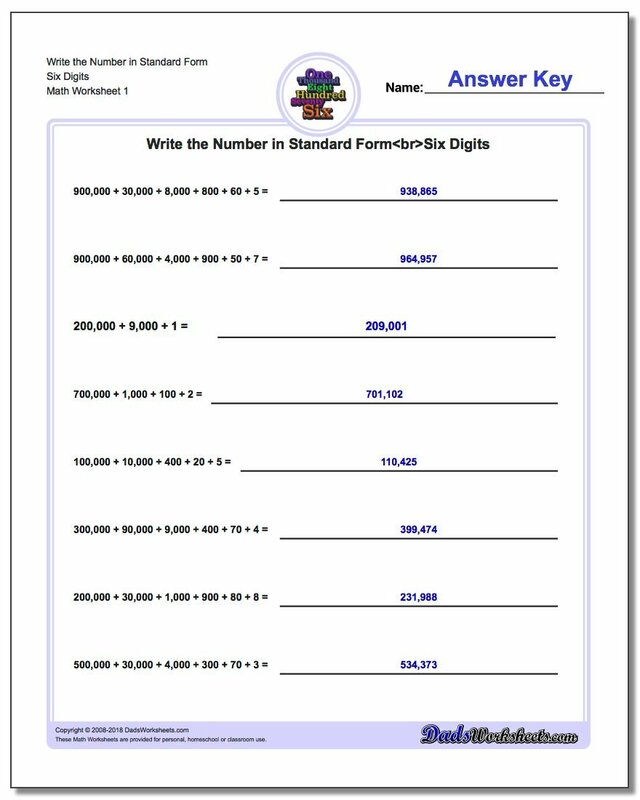 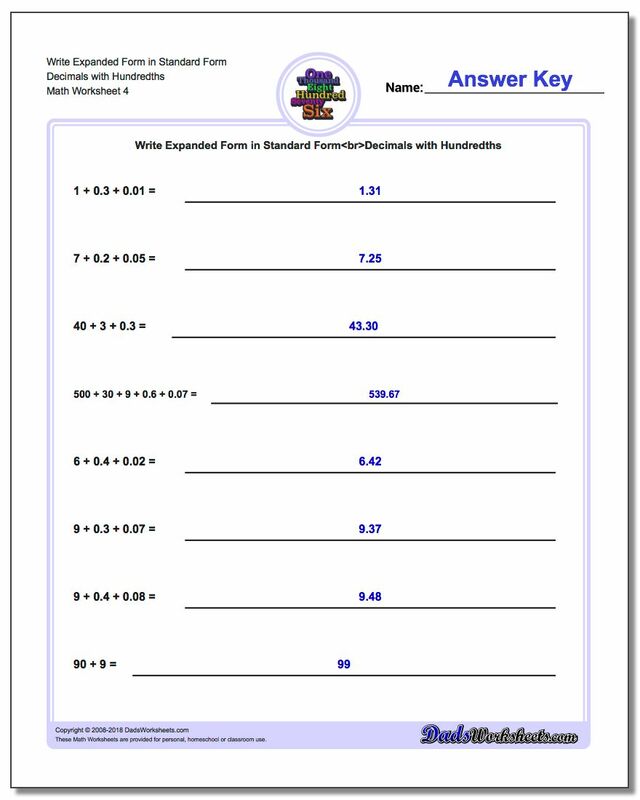 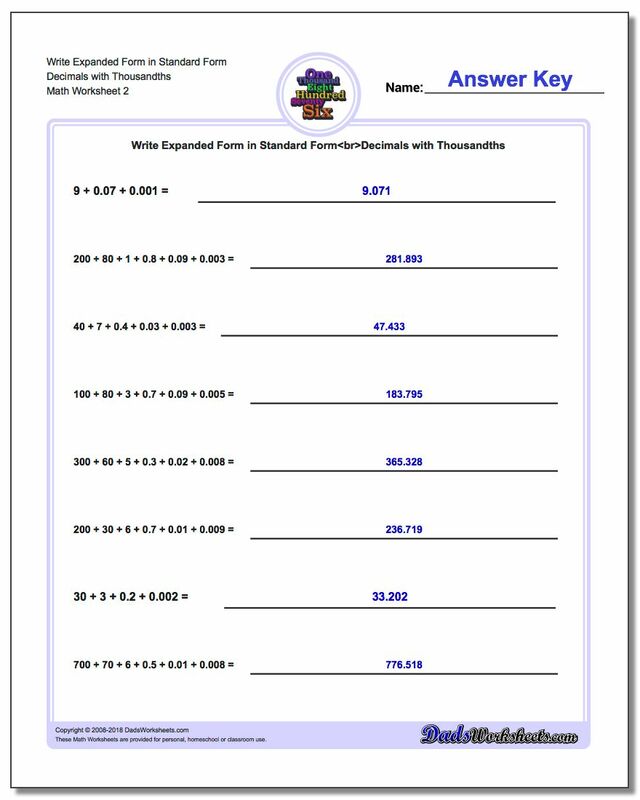 The worksheets on this page translate from the expanded form numbers back into traditional numeric form. 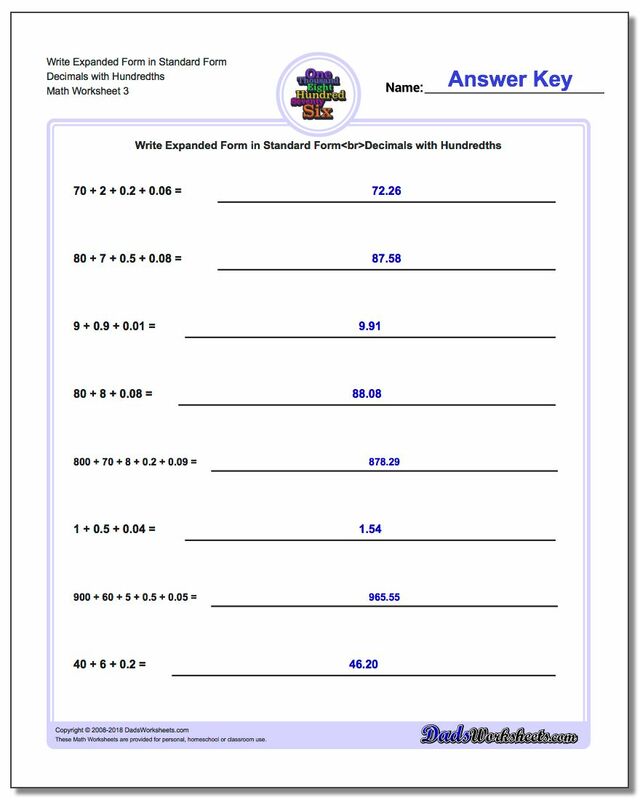 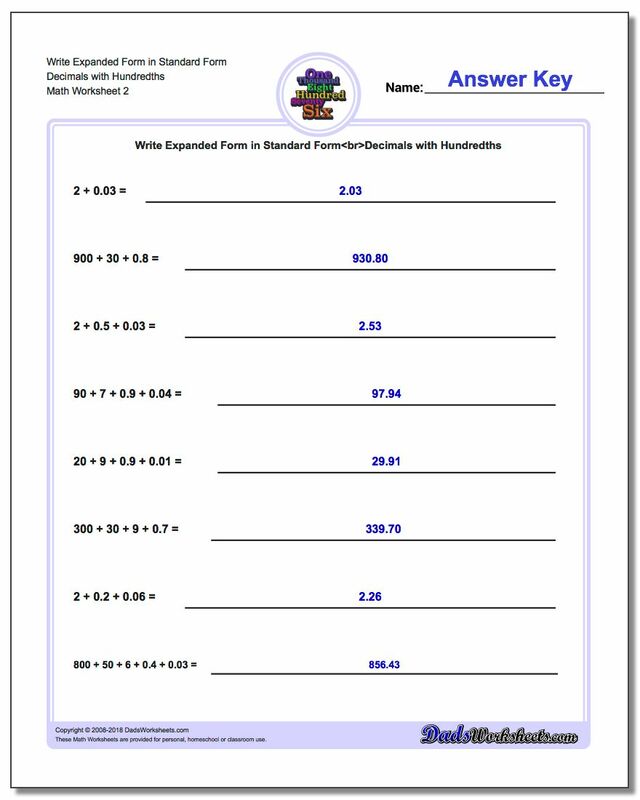 These are the opposite problems from those on the worksheets in the prior section, so you can mix worksheets from this set with those from the previous set to check comprehension of expanded form concepts from both directions. The problems on these worksheets have varying lengths of digits, and some worksheets have a mix. There are variations with and without decimals, including place values out to thousandths. All worksheets include full answer keys and make for great homework assignments, tests or just general in-class practice assignments.